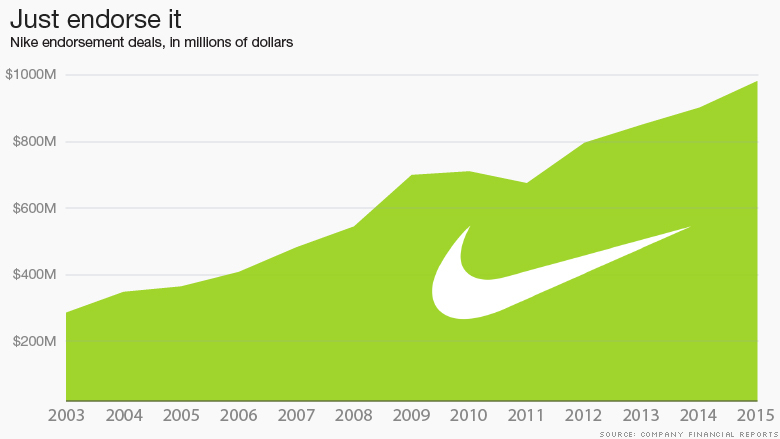 No company in the world spends as much money on sports sponsorships as Nike, which has spent a staggering total of $8 billion since 2002 alone, according to a CNNMoney analysis. Now its status as such a big spender has helped draw Nike into the unprecedented bribery scandal engulfing FIFA, the body that oversees soccer's World Cup. Nike isn't named in any of the indictments. But court filings do say that at least one individual who pleaded guilty to the scandal used money from an unnamed sportswear company to bribe FIFA officials. That sportswear company got the sponsorship deal with the Brazilian national soccer team in 1996. That's the year Nike signed its first contract with Brazil. The indictments don't accuse the unnamed sportswear company with making any bribes itself, a fact that Nike points out when asked about the deal and FIFA indictments. And Nike has made no disclosure to the SEC that it or any employee is under investigation, which it would be required to do if that were the case. Perhaps something like this is bound to happen to a company that sponsors such a wide variety of entities all over the world. Nike spent nearly $1 billion on endorsements in the 12 months that ended in May, according to filings. And spending for the next year will probably surpass $1 billion. Nike's endorsement spending generally increases by more than 10% a year, slightly faster than the company's sales have grown. "For as long as Nike been around, the face of the organization has been these high profile athletes. It's part of their DNA," said David Carter, executive director of USC's Sports Business Group. 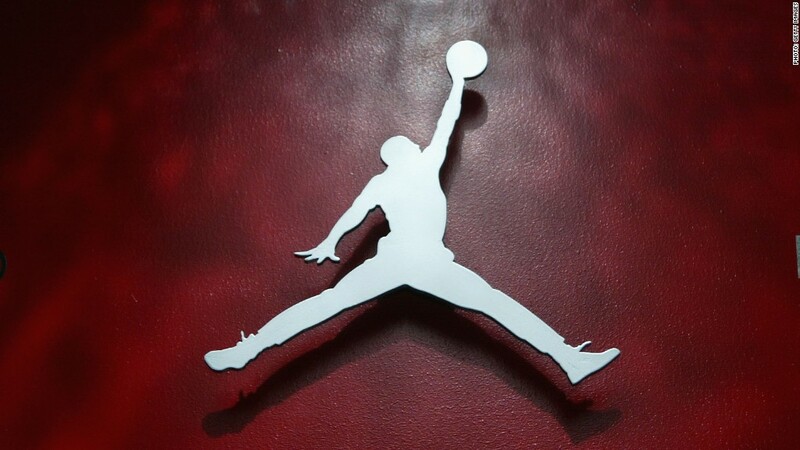 Lots of money went to superstar athletes such as LeBron James, Tiger Woods and of course Michael Jordan. But Nike also spends a lot on teams, leagues and college athletic programs. Nike (NKE) does not break down how much of its endorsement dollars go to individuals, teams or leagues. Carter said the spending will probably rise as Nike is increasingly forced to compete for the best sponsorship deals with companies like Adidas (ADDDF) and Under Armour (UA). "It's not a company that needs to take that kind of risk," he said. "Why would they risk the integrity of the entire company over something so relatively minor in terms of their overall endorsement and marketing spending."